Soy Infant Formula: Birth Control Pills for Babies? This topic isn't one I've mentioned here on the blog before because while I knew that soy infant formula wasn’t good for babies, I didn’t think it was really as bad as giving them birth control pills. 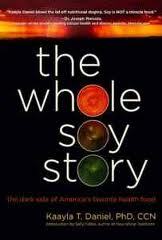 Until I spoke with Kaayla Daniel, an expert on the dangers of soy and author of, “The Whole Soy Story.” When I asked her about what I'd heard, that giving a baby soy infant formula is like giving them birth control pills, she said it's actually true. She told me that soy formula packs the hormonal equivalent equal to the estrogen found in three to five birth control pills every day! Myth: Soy infant formula is safe for infants. Isn't it sad how many docs put babies on soy infant formula the minute they have any issue with regular formula?! And regular isn’t much better, by the way. As I've said before, if I hadn't been able to nurse our babies, I’d definitely have made my own homemade formula. (There's a video on how to do it below.) Considering all I go through to make my family homemade food with known ingredients that I'm OK with them eating, why would I do any less for our baby? Your baby can’t breastfeed for some reason? Don’t use commercial formula, find homemade baby formula kits complete with everything but the fresh milk and cream here. And learn HOW to make homemade baby formula here. Is edamame good for you? Read my other post about breastfeeding (joys & struggles), including my personal story and also what to do if you really are unable to nurse your baby and you don’t want to feed them the JUNK commercial formulas out there right now. (Seriously, they are so bad. Can you even pronounce most of those words? Do you know they are a super-processed “food”, and are full of soy?) Instead make this homemade formula! Breastfeeding & pumping – how did that go for you? Found out my son is allergic to soy and corn…. he was formula fed…. I wish I had found WAPF when we adopted our son. Soy formula for 6 months and I swear we’re still dealing with the effects 14 years later. That’s funny because some industries say the same thing about dairy and meat… whatch The china study , fork over knives , what the health..
Weston A. Price Foundation has healthy nutrition packed recipes for formula! Have you tried taking fenugreek? I understand it helps immensely. There are also lactation teas out there–some better than others, and some with stronger flavors than others. Have you met with a lactation consultant? A friend whose first was 2 months premie, she never lactated well and had to supplement; for her second, she started with a lactation consultant and has MORE than enough now. And this kid EATS! My mom started breastfeeding my brother, but then switched to formula. He did not tolerate it. It was a lot of trial and error but finally the doctor said try raw milk and it worked. It was the only thing he could take. Human Milk 4 human Babies and the other one… eats on feets? They have a whey formula now, too. I would advise her to make formula from raw milk for him. We made the recipe for our daughter from 4-11 months, when we switched her to straight raw milk. I switched to making my own goats milk formula. I was daunted by the WAPF formula. This was the easiest, most manageable solution for me. My Capra has the best goat products in the US. Good luck! WAPF has several variations for making formula yourself. It takes 10 min each day once you get used to it and is so worth it! Most of the ingredients you can get on Radiant Life. 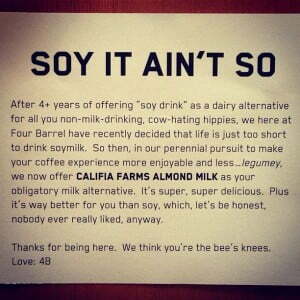 There are way better options than Soy, even if they don’t meld with the WPF eating lifestyle. My 16 year old HAD to use soy, that was the option back then, but soy causes issues long term. I would not use that. My other three had different milk formulas where they pull out what the kid is allergic to. Each one had a different one. Any pediatrician should know this by now, I would get a different doctor if they still suggest Soy as a first option. Seriously. My last 3, the doctors (different states, different peds for all 3) said soy is never a first option now. My sister had success with the Weston Price milk formula with her adopted kids. A few drops of fennel essential oil rubbed on breasts is known to increase milk supply. Not all E.O.’s are equal though. I actually have heard that fennel tea is more powerful in increasing milk supply than fennel EO. I want to remember it had to do with some minerals that are present in the tea and not the EO. Either way, great suggestion with fennel! If I could do it over again I would have bought the goat back in the 1980’s. A very sad and hard lesson learned at my daughters expense. When I couldn’t produce enough milk for my twins, I supplemented with the nourishing traditions meat-based formula. My babes did wonderfully on it. I would look into goat milk, chances are the eczema and cough aren’t from the dairy but all the bloomin’ unnatural “ingredients” and toxins. Mamil really works on constipation kids? My DD have the same problem before, but my neighbour force me to change to Mamil. 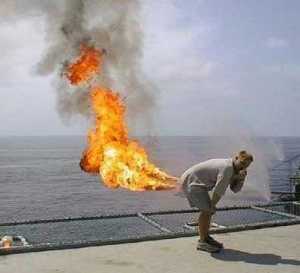 Well, no more constipation at the moment already!!! It really works, no more headache. Maybe u can try Mamil la, can see the difference in a week for sure. I’ve been using it since last year and ever since my LO no probs with constipation. This is bcos Mamil has prebiotics and no sugar lehhh which is very good in treating and preventing constipation. Plus Mamil has the highest DHA level in the market nw! Try giving ur LO 1 cup of vegetables a day, blend urself kay! but normally child wouldnt like it, so i suggest u better give whole fruit instead of fruit juice bcos it work faster! My child is having a very serious constipation problem!!! Too worry on his health status. Mums, do you have any formula to recommend to prevent constipation problem??????? I think should be related to my milk powder, cause im taking goat milks. Do you have a naturopath or holistic doc you could consult with?? My sister was given soy formula back in the 1950s. It wasn’t GMO then, but they had a more limited knowledge of essential fatty acids and such. She drank soy milk for years. Of course, I can’t swear that her endometriosis and infertility was directly linked to soy formula, but even after extreme medical intervention, she was never able to conceive. That’s so sad. I wonder if she ever made the connection? All fixed, thanks for telling me! 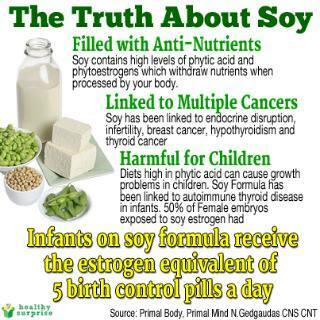 I’m happy for current mothers of infants, and future mothers to be, that you’re alerting them to the dangers of soy. Unfortunately both of my children were fed soy formula (they’re teenagers now), based on my doctors recommendation. I pray it didn’t do them any long term damage. We eat a very healthy diet now, and I do believe that the human body is an AMAZING thing, capable of healing itself through proper nutrition. I should’ve made it clear in my post, too, that I certainly didn’t know all this stuff or do everything right with my kids either. I wish I had learned all about real food much earlier in my parenting journey!! !